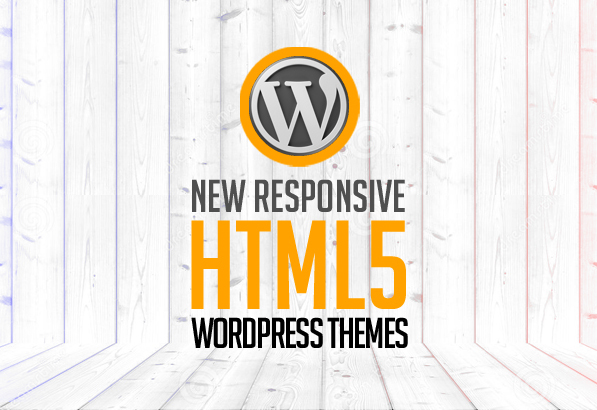 Beautiful HTML5 WordPress themes for blog, news, magazine and corporate websites. All themes are fully responsive with modern UI and UX design, suitable for any kind of creative or business use. All themes are designed to give your brand or service an air of esteem and confidence, easy theme is fully customizable, built with best frameworks and made with HTML5, CSS3, JS, jQuery & SEO ready and looks amazing on all types of screens and devices. All files are well organized and documented so anyone can use, modify or customize these templates. All themes are included Visual Composer Page Builder which gives you freedom to create awesome websites with almost any layout you can imagine in only couple of clicks and will save you lots of time working on the site content. Amazing Responsive WordPress themes are perfect for creative design agency, portfolio, SEO analytic, financial adviser and stock brokers, technologies research and production, scientific research, travel and logistics, business trends, market jobs and eCommerce websites. The theme is built with SEO best practices in mind. Created by Elite Account NRG Themes. It uses semantical HTML markup so search engines can index the content of your site with easily. Insted of adding a lot of inline CSS code with your personal settings in the header of each page, Apital automatically generate a CSS file once you save the options, and then just include. Ionic is a flexible and easy-to-use multi-purpose wordpress theme. It is fully responsive, and suited for business, agency, portfolio, blog and shop sites. It comes with flexible and well-categorized options, and you can see live results of your changes in WordPress Theme Customizer. Four demos are available now, and more are coming soon You can easily import demos using our one-click demo content importer including all pages and sliders. NINE is All-in-one, Multipurpose and Retina Theme! NINE consists of multiple amazing and unique pre-designed demo content. Our Theme is fully responsive and easily customizable, making it pleasant to work with. NINE comes in 9 different color schemes 9 Design styles and 9 different templates. Hello everyone, Opal Team is very proud to release a new Multipurpose Business WordPress Theme “ Octopus – Multipurpose Business WordPress Theme” Octopus is a Modern Multipurpose Business WordPress Theme suitable for any type of website, personal, business or corporate use. With a perfect and impress design, Octopus comes to customers with a modern look, eye catching and friendly. And This is first theme built in our WPO WordPress Framework Theme With Bootstrap 3 that to make fully responsive theme that works perfect on all kind of resolutions as well for mobile, tablet, desktop having medium and large screen. Booard Corporate WordPress Theme can be used to build Corporate, Agency, Personal Portfolio, etc. This theme has 7 homepage variants, 3 blog and portfolio styles and more pages like About, Features and 2 Contact pages. It comes with 37 shortcodes and you can use them with Visual Page Builder to make any flexible pages you want. Nadea is a cross browser compatible, retina ready, responsive WordPress Theme with touch support that features a clean design that is multipurpose theme which is suitable for a wide variety of websites. Tons of customizations are possible with this theme that’ll help you redefine your website’s brand value.